The Joules Beatrice Woven Jersey Mix Top is the perfect addition to you wardrobe. 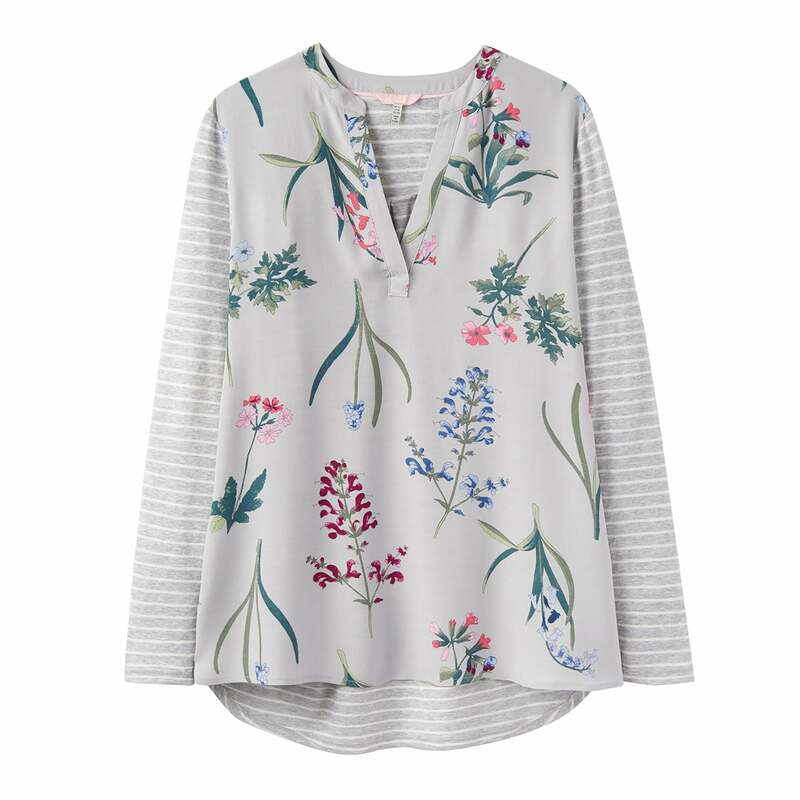 With grey stripes on the back and a Joules floral pattern on the front, it is sure to be a comfy casual favourite! Long sleeves to keep you warm and looking the part at both work and play.